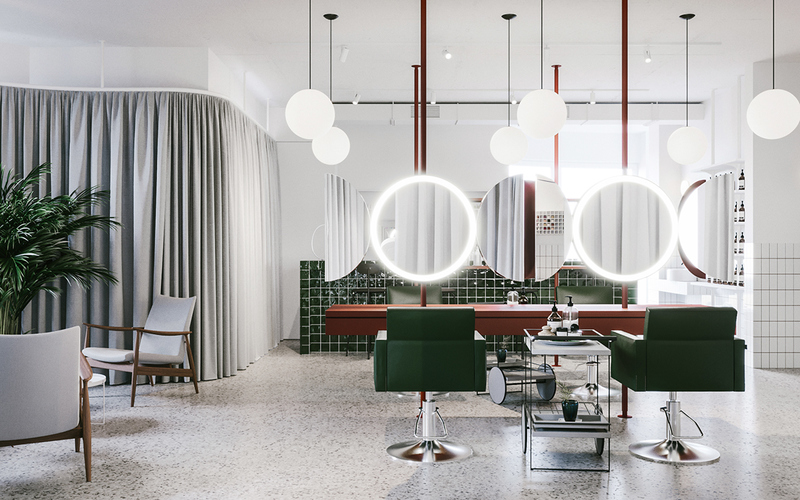 Evgeniy Bulatnikov and Emil Dervish designed the architecture and interiors for Odes Salon in Odessa, Ukraine. 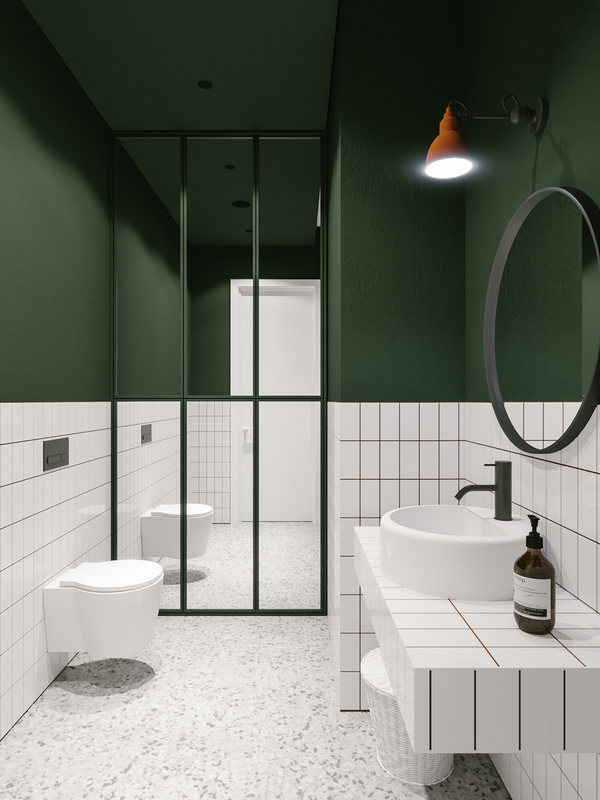 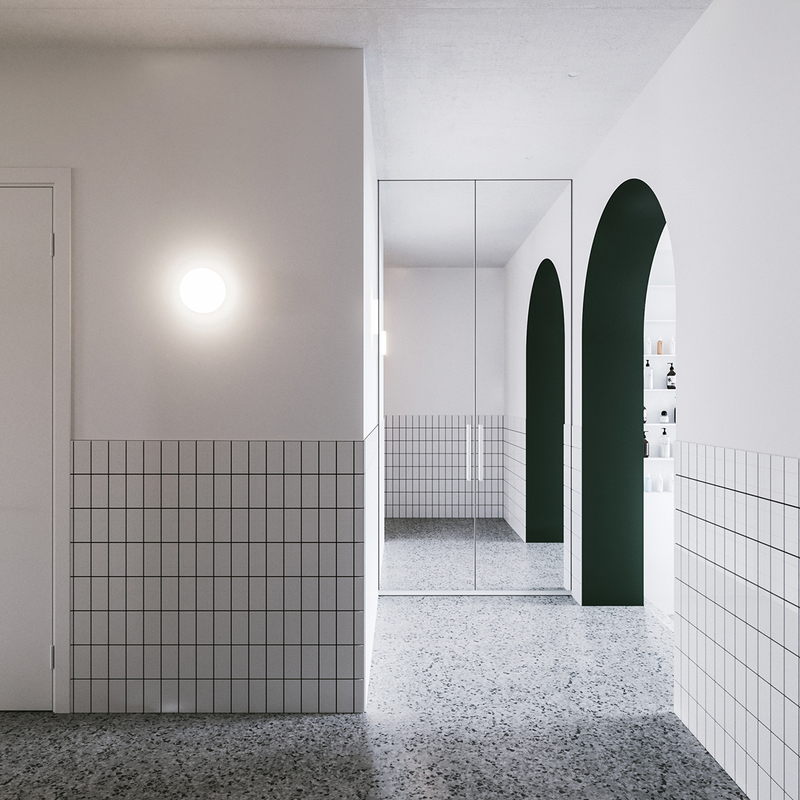 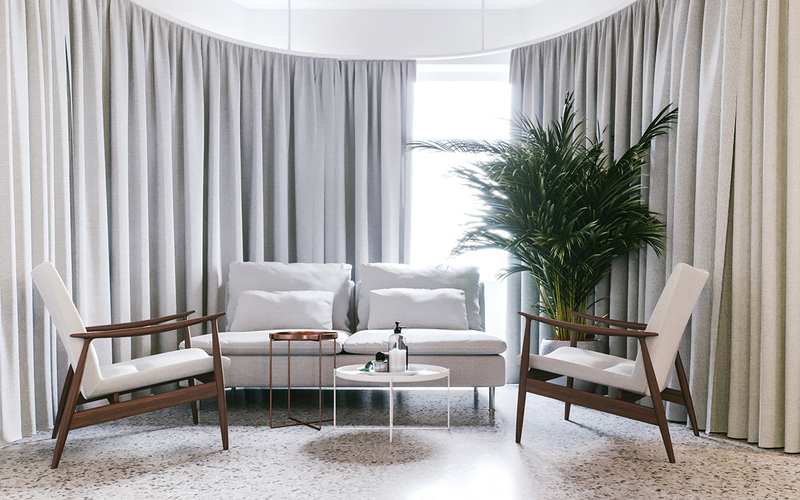 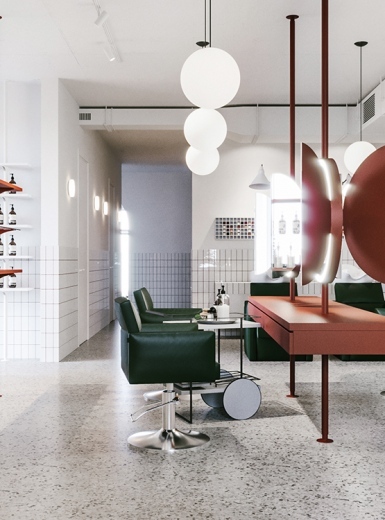 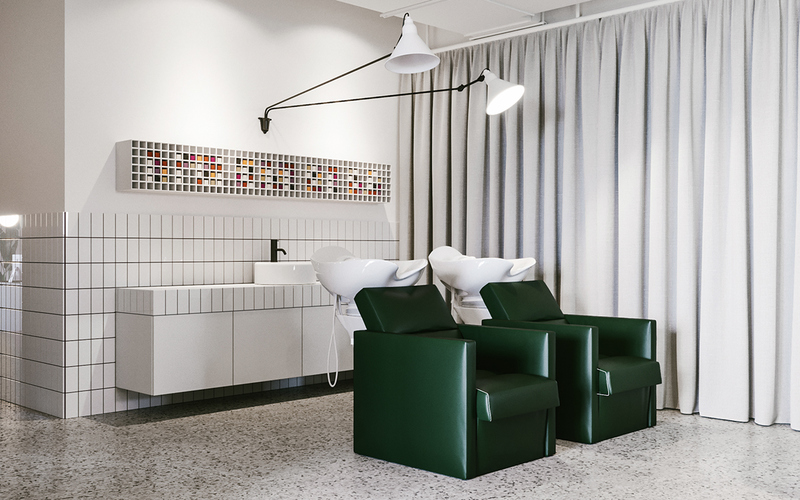 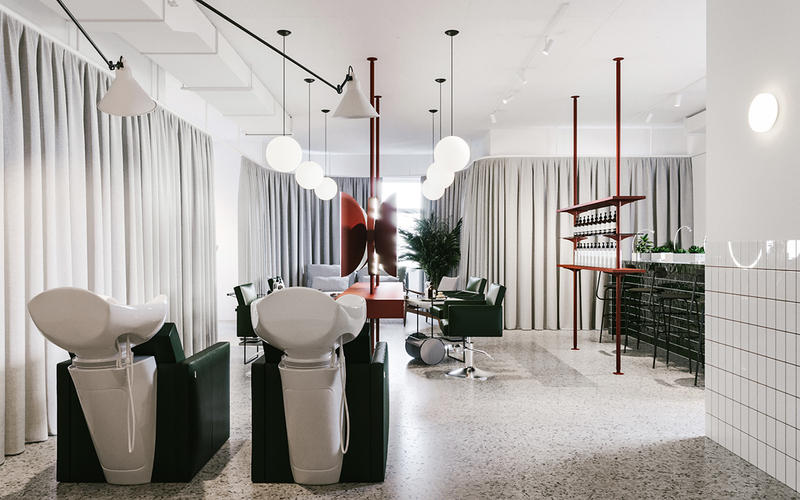 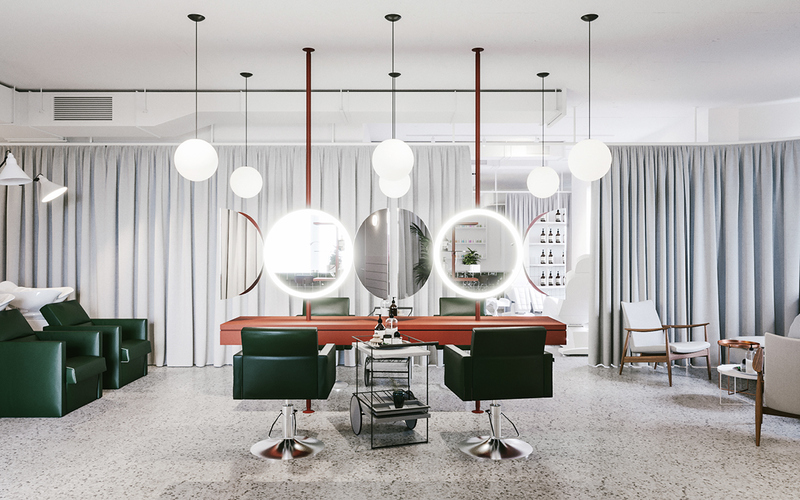 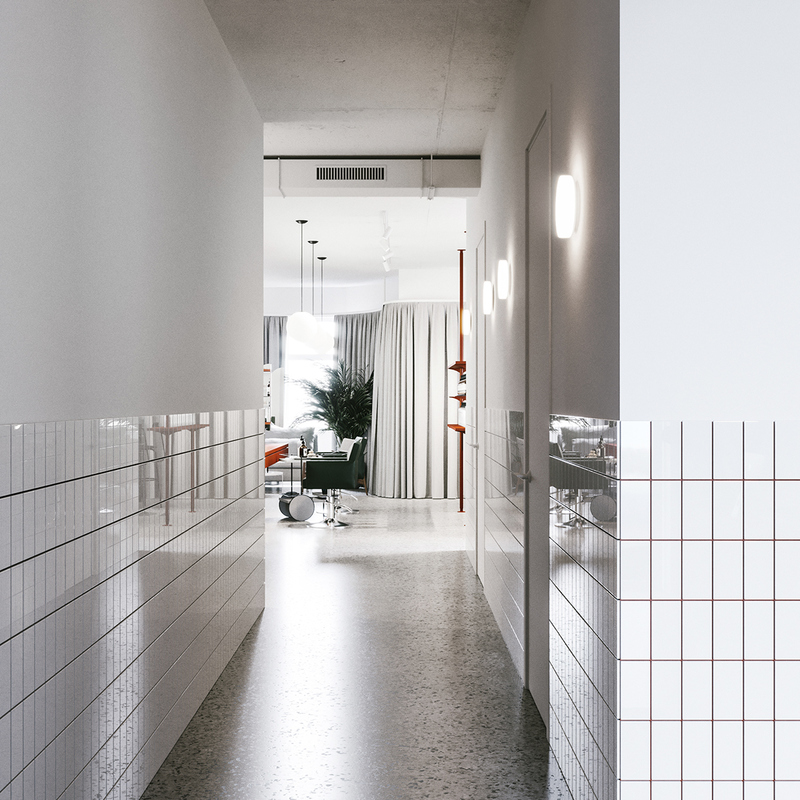 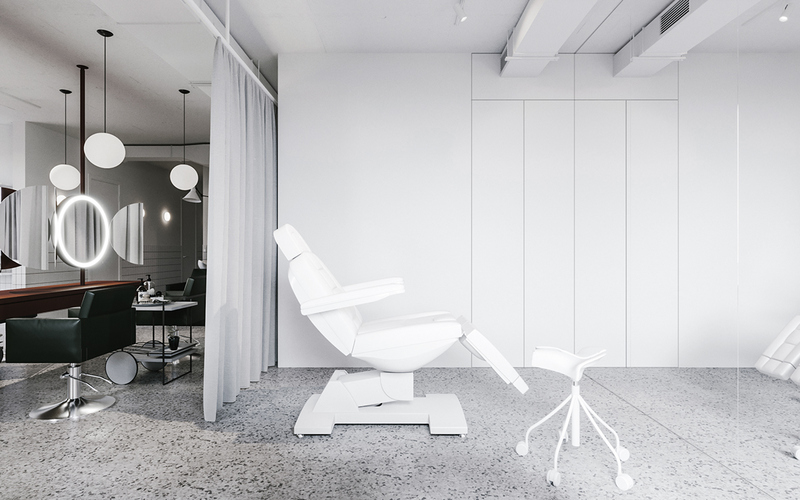 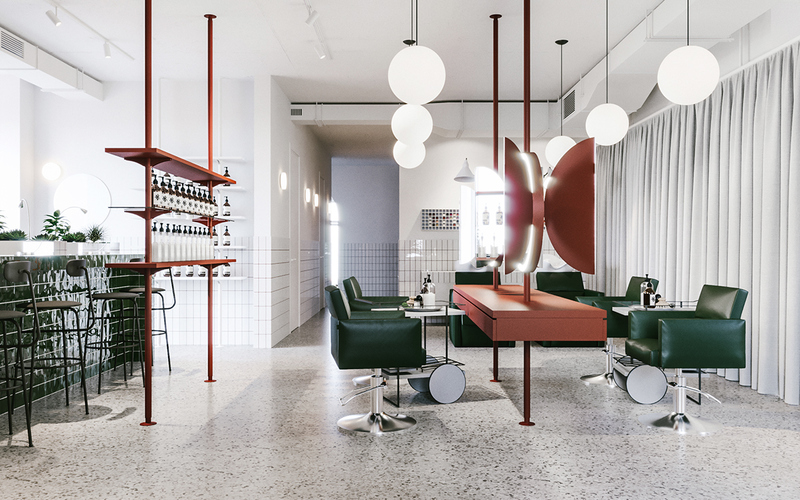 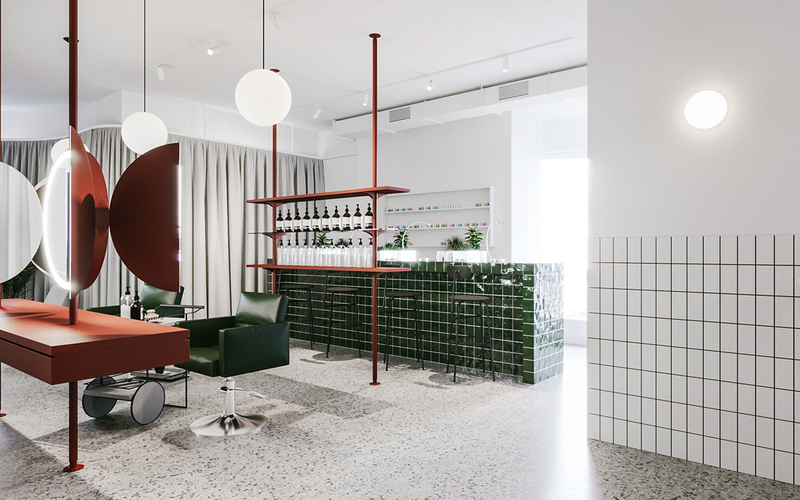 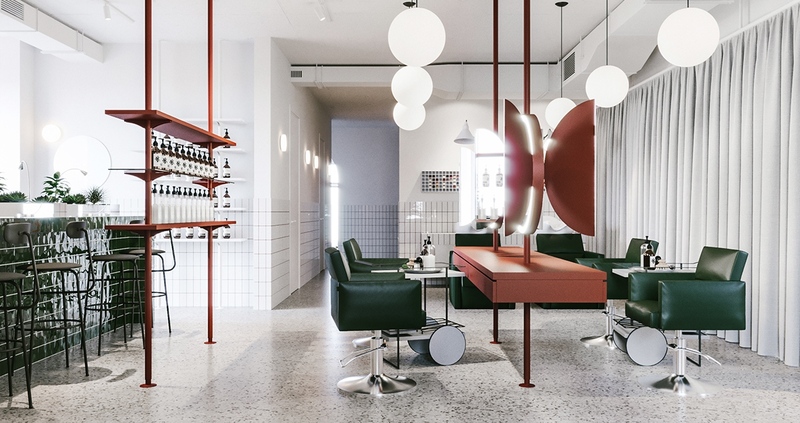 The beautifully minimal beauty salon has a clean ‘modern retro’ aesthetic with contemporary, geometric furnishings and hanging light fixtures. 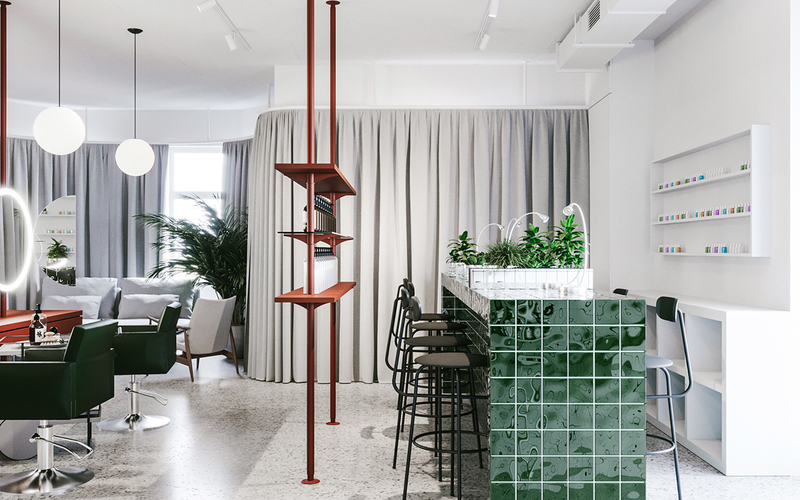 Its light and bright colour palette is offset with sparse accents of deep green and red in some of its statement furnishings.